Fragile or agile: What’s the likely future for post-trade? 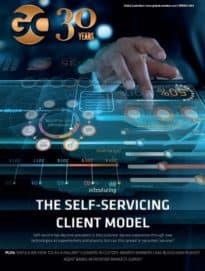 In the face of transforming business models, processes, and networks, there are enormous pressures on securities services firms to help facilitate a harmonised, integrated and low-cost post-trade system while also being able to deliver same-day DvP. The onset of new technologies has been cited as the obvious enabler to achieve these goals, however it could run deeper through an industry-wide mind-set shift in order to navigate the future post-trade landscape. Join Global Custodian and Deutsche Bank for a panel session gathering leaders from the securities services industry to discuss how possible these goals are. What is the state of the post-trade system today? Can we do a reality check on this? What more can be done by regulators to help achieve standardisation? Are the potentials of new technologies in the post-trade a reality or a pipe dream? Will traditional securities services firms and new non-bank entrants be in competition or can they co-exist? What can market participants to do best plan for political uncertainty? Global Custodian will also host a special awards ceremony for the latest industry figures that will be inducted into the GC Hall of Fame. We will induct 10 individuals as GC Legends, in which we will honour their contribution to the securities services industry throughout their careers. The ceremony will be followed by a networking and cocktail reception.